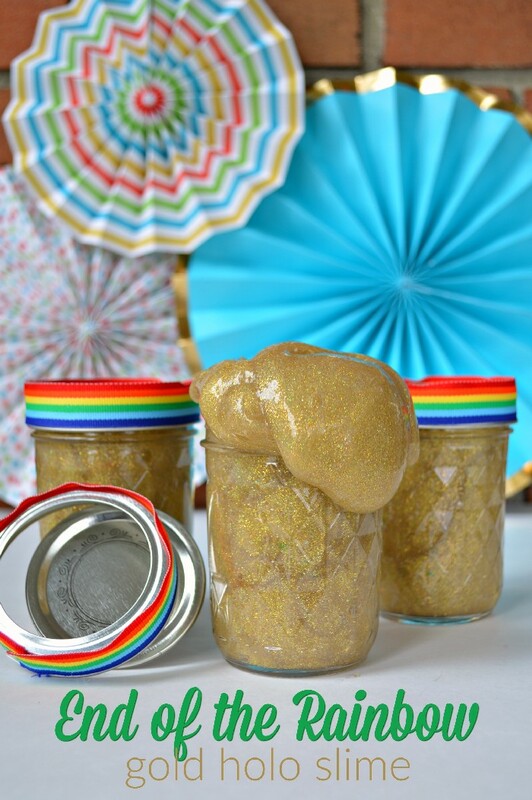 Sometimes the treasure at the end of the rainbow is a pot of gold, and sometimes it’s a jar of gold holo slime. 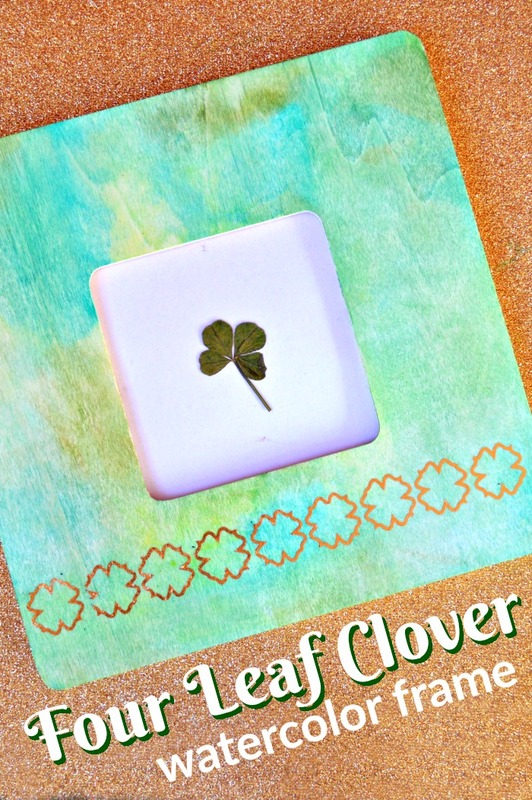 This quick St. Patrick’s Day slime recipe only uses four ingredients, and no Borax, to make so it’s a great project to do with kids over Spring Break. 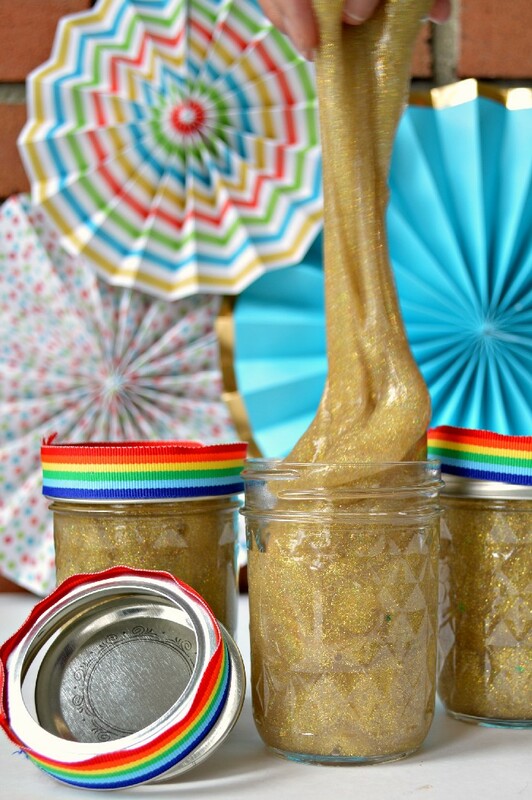 It’s easier than you think to make your own End of the Rainbow slime! 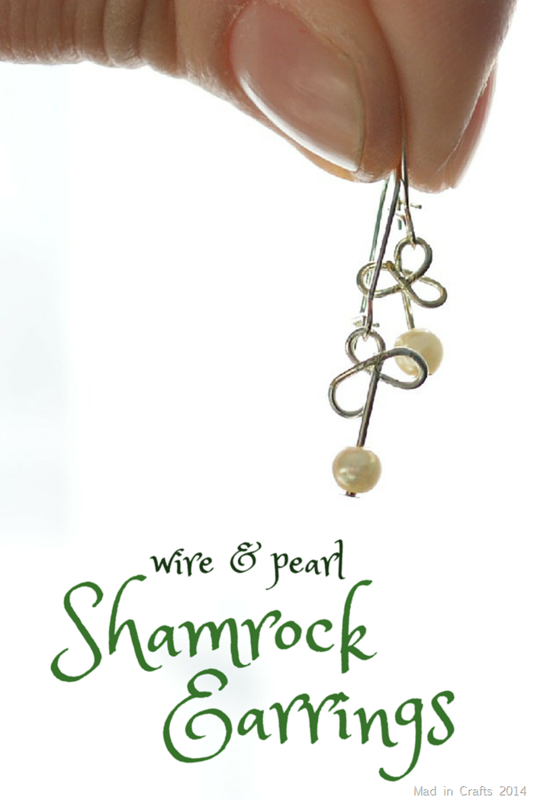 Start by mixing together 1 cup of warm water with 1 cup of clear glue. Make sure to stir this mixture until it’s fully combined. 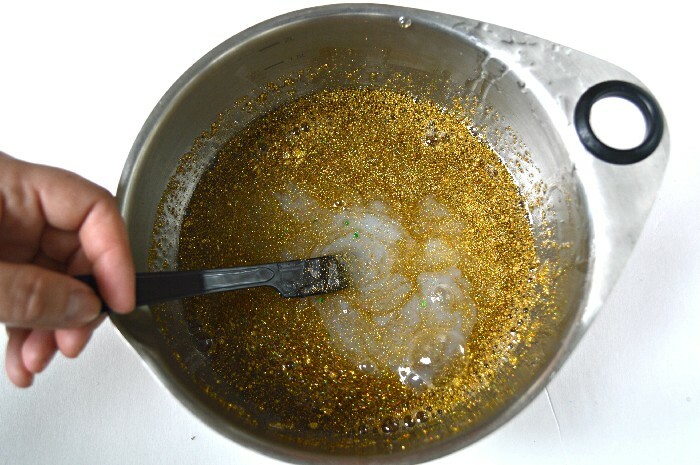 Once the glue is totally watered down, add in any glitter or add-ins you would like in your slime. 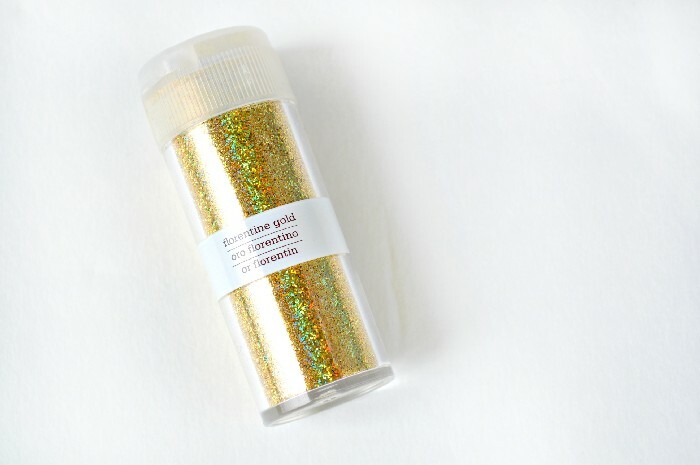 Since I wanted this to be an “End of the Rainbow” slime, I wanted to use this beautiful gold holo glitter. 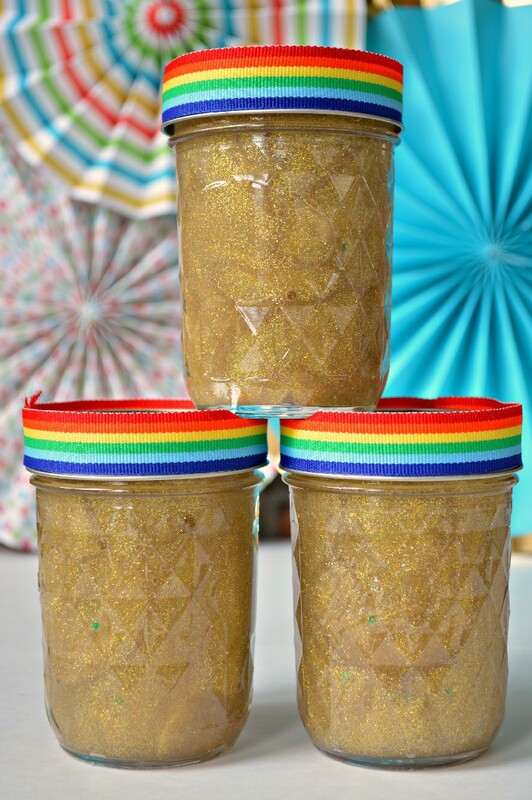 See how the gold glitter reflects linear rainbow colors! 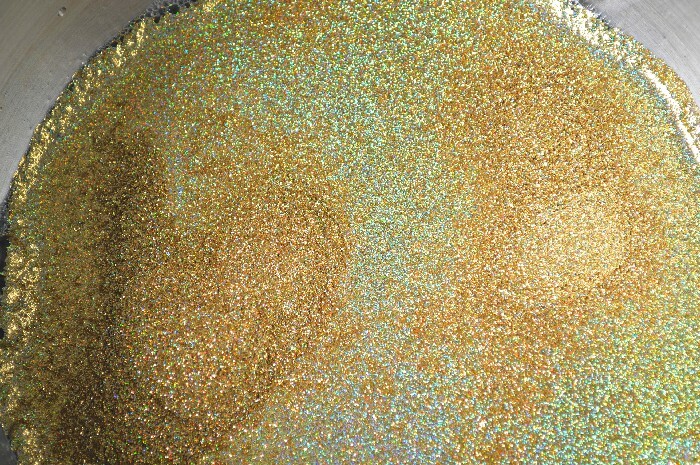 After you have added in the glitter, pour in 1 cup of liquid starch and get stirring! After a bit of stirring, get your hands right into the bowl and start kneading the mixture together. I always panic when I am making glue slime because it seems too stringy and messy. But don’t stress, just keep working the slime with your hands, and it will come together to form the right slimy texture. It’s important to keep the slime in an airtight container so that it doesn’t dry out. I chose to store mine in quilted 8 oz. 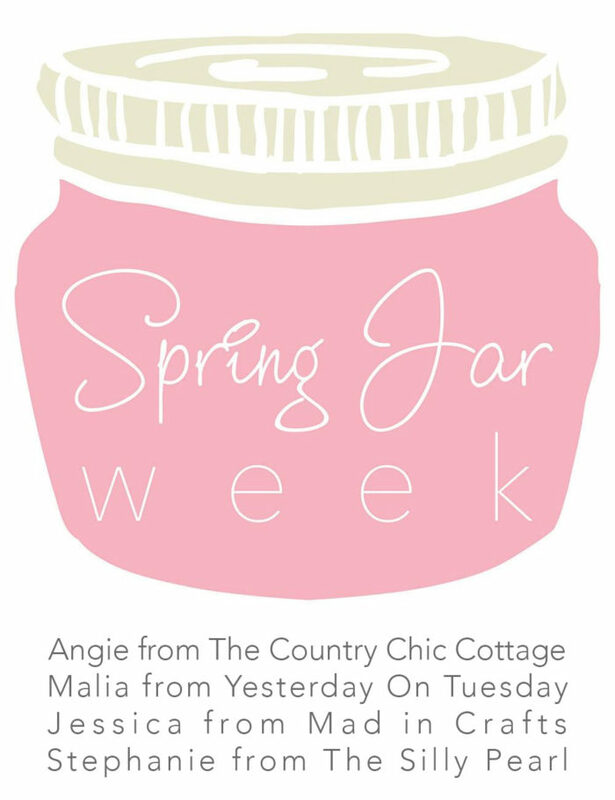 jelly jars, but you can use whatever you have on hand. I also added a band of rainbow ribbon along the edge of the jars lids for a touch of decoration. If it’s been a while since you have played with slime, I highly suggest that you make up a batch. Kids love it, obviously, but it’s pretty fun for us big kids too!